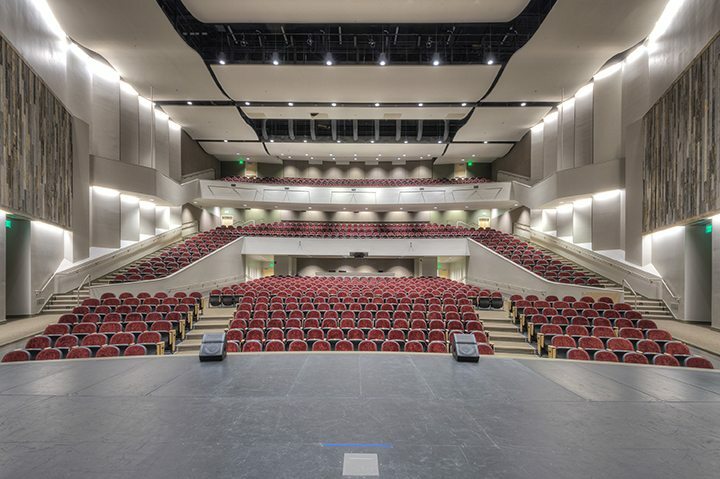 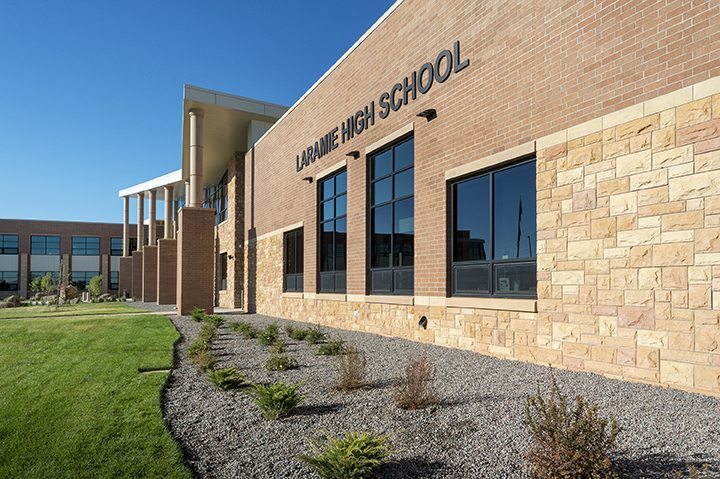 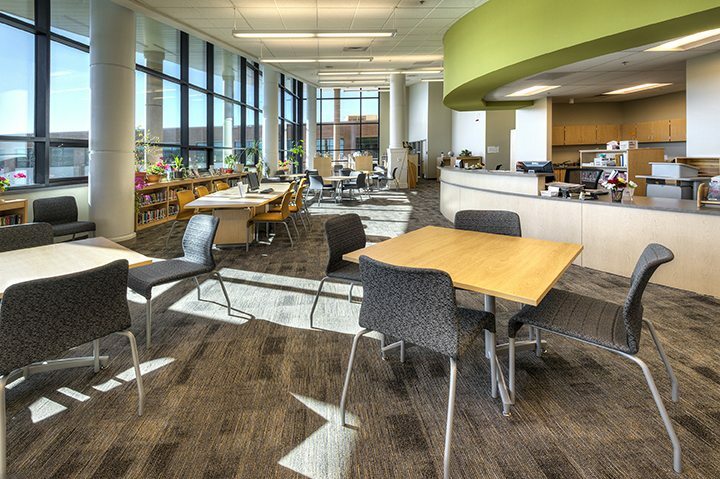 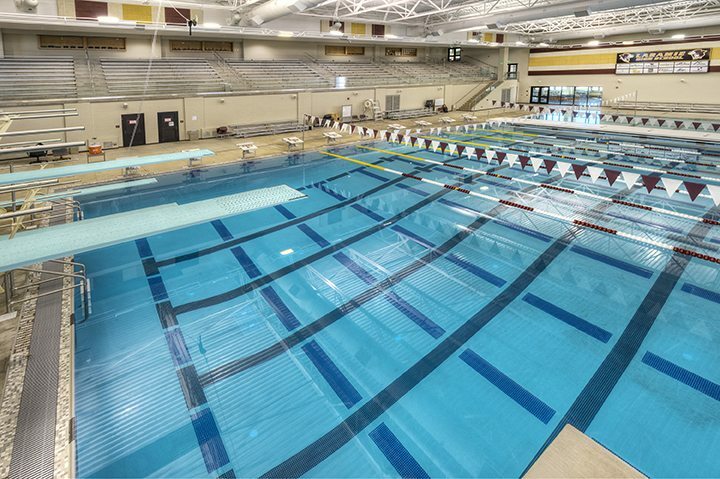 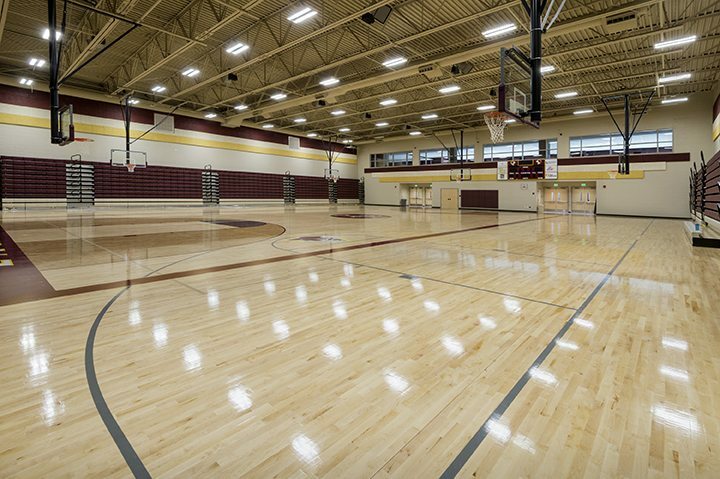 The 300,000 SF Laramie High School sits on approximately 43 acres and is truly a state-of-the-art facility. 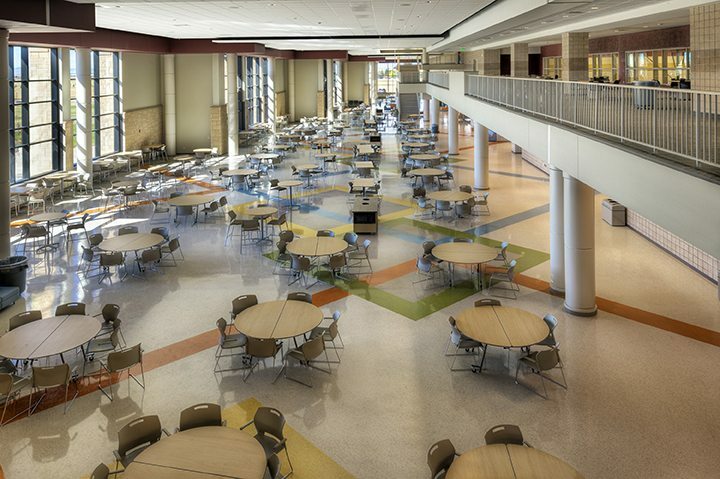 With a multitude of classrooms, including 12 science labs, three music rooms, two art labs, and seven production labs (comprising auto shop, wood shop, welding, culinary arts, and flex labs), there are myriad specialized learning spaces, plus open areas for student and faculty to gather in both small and large groups. 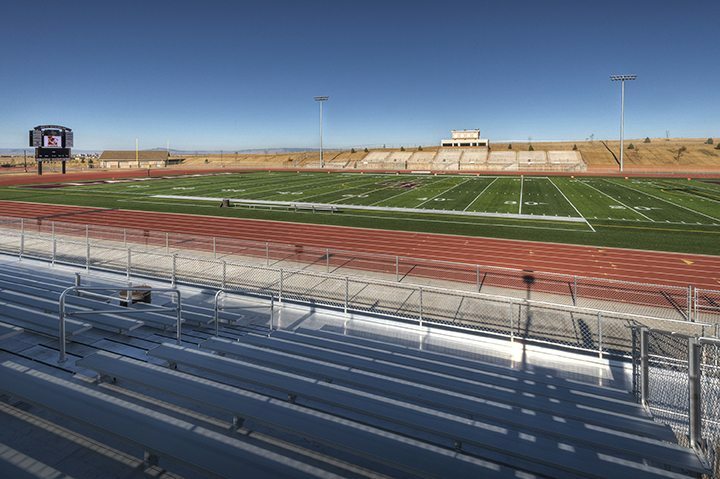 Other amenities on the school grounds include a phenomenal stadium with synthetic turf, full practice field with synthetic turf, tennis courts, two full gymnasiums, a three-tiered auditorium with reclaimed snow fence wall accents, Olympic-sized pool with 3- and 5-meter concrete dive platforms, and large commons area with 30-foot ceilings and amazing views. 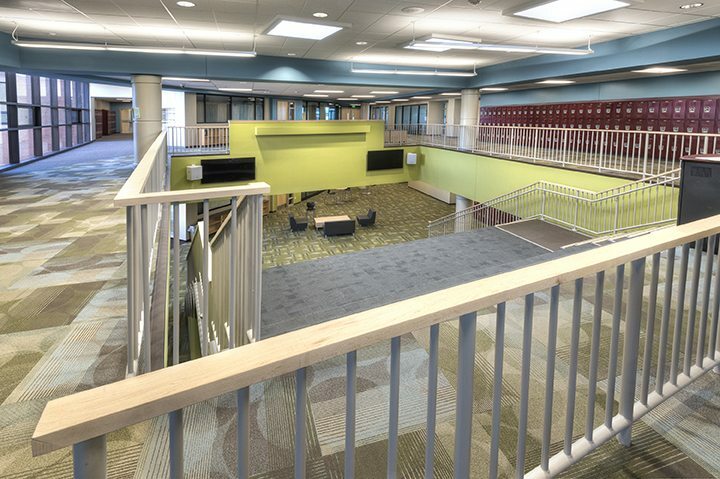 Security is also a priority in the new school, which boasts multiple panic buttons throughout the facility and several safe zones within each pod. 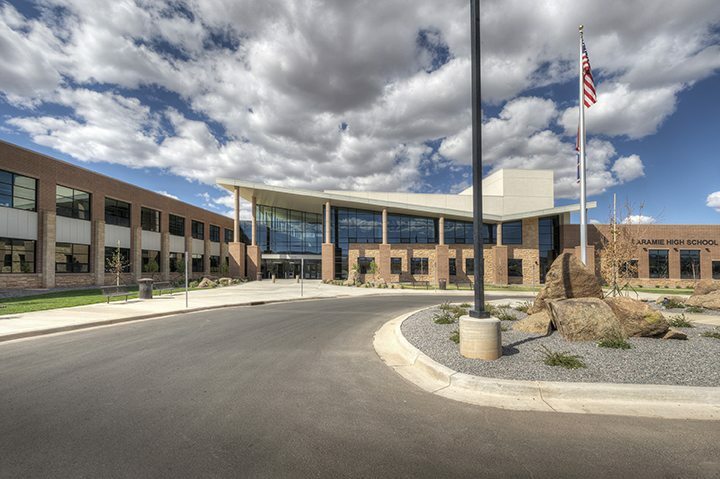 Completed in just 24 months, the building’s exterior skin is predominately stone, brick, and metal panel.